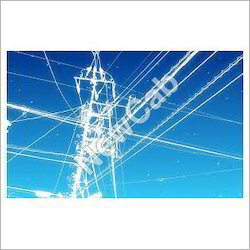 As a prominent business name, we are specialized in offering an assorted array of Transmission Line Cables. Available in multiple provisions, this array is mostly cherished by the customers owing to its longer life and high resistance against shocks. To add, these are examined thoroughly before getting delivered to our customers. Acknowledged as a business name, we are presenting a huge consignment of Coaxial Cable. Widely used in electrical industries, these offered cables are designed and developed with precision using top class raw material and modern techniques. Also, these are examined sternly to ship a flawless consignment at our clients end. Remote sensing using satellite images. • Generation of corridor maps and digital terrain models (DTM). • Detailed terrain analysis of the Alignment Corridor. • Tools include total stations, Thedolites, GIS equipment. Gammon is now one of the leading companies in the execution of extra high voltage Transmission Lines and Rural Electrification solutions .We provide comprehensive Power Transmission and Distribution solutions (T&D). 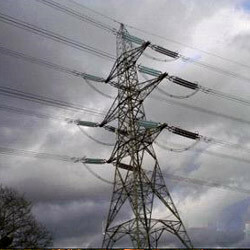 We offer range of overhead HT/LT transmission lines can be install, test, commission by our expert technicians and engineers. Shree Vaishnav Metal & Power Pvt. Ltd.
Facilities are suitable for manufacturing Transmission Lines Towers , Microwave Towers, Wind Mill Towers, Railway Electrifecation and Substation Structures. Apart from manufacturing towers as per customer designs, we also undertake design of towers including SERC / IIT's approval. We will also undertake Civil Foundation, erection of towers at sites including painting.